Sacagawea was a young woman from the Shoshone tribe in Idaho. At 16, she was chosen by explorers Lewis and Clark to help them explore the Louisiana Territory. Sacagawea guided the men for thousands of miles, exploring everything from North Dakota, south to Louisiana and then west all the way to the Pacific Ocean. She is given the credit for guiding Lewis and Clark, which means that her work is responsible for the eventual settling of the West. There was none like Sacagawea, none before her and none after her. That is, unless you’re talking urban fashion. April Walker is a lot like Sacagawea. At an early age, this Clinton Hill native decided that she was going to chart her course in the direction of fashion. While many of the tales of urban fashion begin with stories of Dapper Dan, it was in his boutique where April found the outpost to her spirit destination, tied together her goals with her commitment and charted a course to become a pioneer in streetwear and urban fashion. Walker Wear, her fashion line is synonymous with hip-hop, you cannot speak about the history of one without mentioning the influence of the other. Every rap icon you can name, from the Notorious BIG to Tupac have all worn her line. Like Sacagawea, April’s work paved the way for the streetwear fashion lifestyle to become a billion-dollar industry. 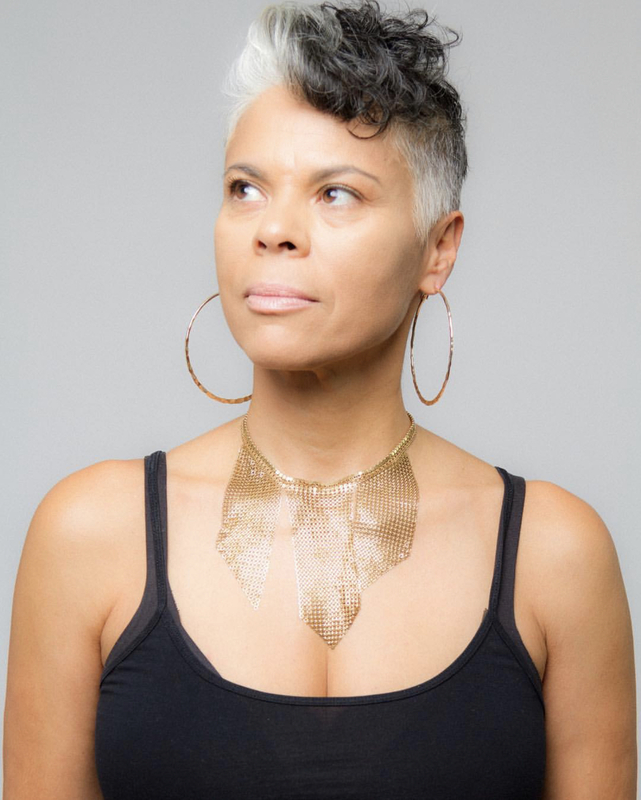 The amalgam of urban fashion lines that are currently settled in an industry that continues to flourish can all look to April Walker to learn about the spirit and dedication she exhibited during her explorations. And while there was none before her, April is committed to inspiring the hearts and minds of potential entrepreneurs both in her community and out in the world. While continuing to reignite Walker Wear, now deep into its third decade of defining and redefining urban fashion, and while educating corporations on brand evangelism through her company A. Walker Group, April has released her first book titled, “Walker Gems: Get Your A$$ off The Couch.” The spicy title is a hustler’s rule, an entrepreneur’s affirmation to himself every morning before going out into the world to make it happen. With chapters like Someday is a word that kills dreams every day and Let your faith be bigger than your fears,April has found a way to affirm confidence and courageousness in a way that anybody at any age can digest and process. The book is lighthearted, even in its seriousness, it is instructional and anecdotal. Most importantly though, it is the realest 163 pages you’re going to ever read. Just another amazing feat from a Brooklyn girl who’s never left her community even as she’s traveled the world over. For more information on the book, visit www.walkergems.com.